What makes you think this isn’t the best time to do career exploration and planning? What makes you think that you have a low confidence level? What do you want to do about it? Something? Nothing? If you are not going to do something about it, who will? If you are going to do something about it, how will that help you reach your goal? Know that a goal without a plan is merely a dream. Dreams rarely become reality. Plans almost always become reality. What DON’T you want to do? There may be options or a “plan B” that others are suggesting you pursue. Think with integrity about what you don’t want to do. Own it. Move on. Examine the current job market supply-and-demand ratios. Within Student Resource Central, we offer several excellent career research sites that provide quick information about high growth jobs and industries. How does your current interests and background fit with these ratios. Use assessments (for high school students or for college students) to provide a more structured and valid approach to examining your interests and “fit” to different career possibilities. Choose a career field to research – research it thoroughly. You aren’t making a decision here, just research. How can you gain more insight (talk to people in the career) and experience (internships) to further investigate the career of interest? It should be reinforced that even if a student does everything above (as well as much more) there is no guarantee of employment today or tomorrow. Be prepared to reexamine and reinvent as you walk the path. Carl Nielson is Chief Discovery Officer of Success Discoveries and Managing Principal of The Nielson Group, an organizational development consulting firm that provides executive development coaching, team development and assessments for hiring. As creator of the Career Coaching for Students program for high school students and Career and Success Skills Mastery for College Students and Recent Grads, Carl and his team of licensed facilitators across North America have helped thousands of students find a better way through a career exploration process that works. Assessment and coaching packages start at $399. Local public workshops, distance-coaching and in-school programs available. Call for more information at 972.346.2892. As a student, it is absolutely normal to be focused on the here and now. You may even think you have no capacity for anything else. If you have clear academic goals for yourself, achieving a good GPA, active in a few extracurricular activities, etc. you are certainly on the right track. Things may seem to be going very well. One of the areas we focus on in the Career Coaching for Students™ program is networking. In the high school version, we introduce the concept of networking to find people in the career of interest. Students are assisted in finding and holding informational interviews to learn about a particular career. In the college version, we go much deeper. Career informational interviews are still important but just the beginning. Networking has a much bigger role to play in your success, perhaps as much as the high GPA you are working so hard to get. If career centers are bringing in employers hungry for your skills and knowledge you may see networking as unnecessary and time consuming. If you take that approach, you are most likely cutting off 80% of job opportunities, including internships that may be within reach if you were to take networking seriously. For high school students, use career exploration as a reason to do the networking. Adults in careers that you are interested in are very willing to talk about what they do. Once you get to college it won’t be so easy to get that interview. Many will think you are just trying to get a job. J. T. O’Donnell, Founder and CEO of CAREERREALISM.com and nationally syndicated career expert posted a blog on LinkedIn titled No Job Posted…Send Resume Anyway? She is speaking directly to people in the work world who are actively looking for a job. The question a reader presents is fixated on the resume and how to submit it. Ms. O’Donnell tries to educate you to the barriers that will stop your resume from getting seen. She recommends a different approach that most don’t follow. Look at what she is saying and see how you can be doing the “planting of networking seeds” now so you have a high-quality network later when you need it. In one of your webinars recently you said go straight to the companies and avoid the postings. My question is: Do you make sure that a company is hiring or do you just send your letter and resume and hope for the best? 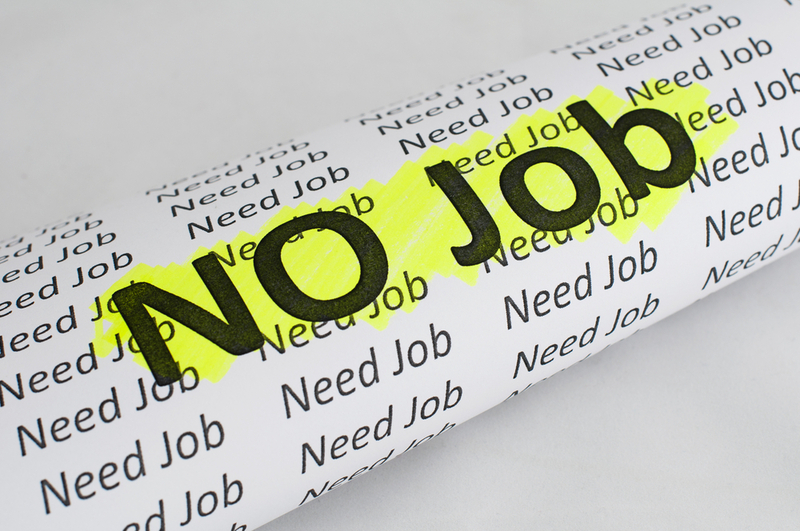 Some companies do not accept resumes if they don’t have a specific job opening. When I tell people to go straight to the company, what I mean is there’s no point in applying online unless you have someone you know in the company who can walk your credentials into the hiring manager and ask them to pull your resume from the thousands they’ve received online and take a closer look. Yep, I said THOUSANDS. Today, applying via job boards is the easiest way to look for a work – so, everyone is doing it. Yet, it also happens to be the least effective method for getting noticed. Why? The ATS (applicant tracking system) employers use to gather applications automatically screen you out for not being an exact keyword and experience match for the job. Still, people continue to waste hours upon hours filling out online applications only to be shocked and disappointed when they never hear back from the employers. They say to me, “But J.T., I was perfect for the job.” I respond, “Yes, you and hundreds of other people.” The reality is your chances of making it through the online process and into the hands of a human being are only slightly better than you winning the lottery. Want to improve your odds of getting noticed by employers? Only submit your resume and cover letter to human beings. How? Network and connect with employees of the companies you desire to work at. Then, when a job gets posted you are a match for, instead of going into the ATS blackhole, you can reach out to your contacts and see if they can help you get your credentials in the hiring manager’s hands. There’s a reason 80%+ of jobs today are gotten via referral – it works! When there’s a company you’d like to work for but they’ve no jobs posted, you’ve got an opportunity to prepare for the day they finally hire for your skill set. You can start the networking process now with employees and get to know first-hand what it will take to eventually earn a position at their company. Better still, you may learn about the “hidden” jobs at the company. The ones that are open but not posted anywhere online. While sending a resume to HR will likely end up in the circular file. (a.k.a. trash can), connecting and having meaningful conversations with employees will result in you being fully prepared to fast-track your resume to the right hiring manager. Carl Nielson is Chief Discovery Officer of Success Discoveries and Managing Principal of The Nielson Group, an organizational development consulting firm that provides executive development coaching, team development and assessments for hiring. As creator of the Career Coaching for Students program for high school students and Career and Success Skills Mastery for College Students and Recent Grads, Carl has helped thousands of students find a better way through the career exploration process that works. Assessment and coaching packages start at $399. Local public workshops, distance-coaching and in-school programs available. Call for more information at 972.346.2892. First there was the Gallup survey that came out in early June 2013, which found the majority of American employees (70 percent) were either not engaged or actively disengaged with their work. As if that wasn’t enough to raise red flags for employers who care about and are tracking employee engagement, a new Harris survey for the University of Phoenix in Arizona that was released July 8, 2013 showed that more than half of U.S. employees want to change not only their jobs, but their careers. Apparently, only 14 percent of workers say they’re in their dream careers. Some of you may not be surprised to learn this feeling is more pronounced among workers in their 20’s (80 percent), but it’s certainly not specific to this demographic alone: Sixty-four percent of those in their 30s want to change careers and 54 percent of those in their 40s reported the same. Is this the classic “grass is greener on the other side” syndrome? Maybe. Or perhaps it’s the fact that the unstable economic environment coupled with debilitating student loan debt coerced many graduates to scrounge up any kind of employment they could secure just to have a steady cash inflow. Consider that nearly three-fourths of those surveyed (73 percent) said they didn’t end up with a job they had originally anticipated when they were younger. And before you go on a rant about how flaky millennials are, you may be surprised to learn that those in the upper echelons of corporate America are among those who want to sign up for a different career. Nearly half (43 percent) of C-level executives said they were somewhat interested in switching careers, while 26 percent expressed a stronger desire to do so. Offering lateral moves and defining a clear career path for employees might not be the silver bullet when it comes to engagement and retention problems, but it’s a start. Employers can’t fix this. And then there are high schools and colleges continuing to do the same things they’ve been doing for the past 10+ years, only now the high schools have teacher productivity work flow tools in the cloud (Naviance, XAP, etc.) to help track high school student college readiness tasks. This is a wake up call. Want to decrease student loan debt? Get smarter about planning career and educational strategies. You can delegate career exploration and career matching to an overworked high school counselor with outdated assessments or delay this work until college where students are going in undeclared, changing majors 3 or 4 times and taking 5 years to graduate at a cost of thousands of extra dollars. Or you can take a proactive approach and do something different. Carl Nielson is Chief Discovery Officer of Success Discoveries and Managing Principal of The Nielson Group, an organizational development consulting firm that provides executive development coaching, team development and assessments for hiring. As creator of the Career Coaching for Students program for high school students and Career and Success Skills Mastery for College Students and Recent Grads, Carl has helped thousands of students find a better way through the career exploration process that works. Assessment and coaching packages start at $349 – checkout the Summer 2013 special offer – 30-days coaching support with the Home Study student career coaching package. First, let’s put this in context. I am a career coach. I designed a career coaching program, Career Coaching for Students, that I hope is provided to every high school freshmen or sophomore student in the future (I’m not over shooting here am I?). I am not one to think my hammer is the tool needed for all situations. Student academic achievement is a very complex issue. And ironically, many students would excel if everyone and everything got out of their way. This article is trying to find why Career Coaching for Students is more effective than what is now offered in high schools and why it has a positive impact on student engagement and achievement. A very high percentage of students that go through the Career Coaching for Students increase their academic achievement after completing the program. Besides the anecdotal evidence (common sense) that a person who really understands themselves, has identified a potential career that matches their talent design (found a passion) and has developed their own plan for their future tends to be much more engaged – are there more predictive specifics related to why this program works better than other programs? Osiris Educational in the UK produced an info graphic that reports many statistical findings about what has a positive and negative effect on student achievement. As I examined their data, I became very excited to see many of the strategic pieces in the structure of the Career Coaching for Students program were matching up to the top effects. The authors of the info graphic gave their short explanation of why the top effects work to increase student achievement. I will use their explanations (posted in italics) to form the basis for my comments here. 1. Self-reported grades/student expectations. This means they are more likely to be successful than other learners as they will be the active element in their learning. Students experience the Career Coaching for Students program like a journey. A coach is not a teacher or parent. We co-create success in examining post-secondary education and career options based on the student’s personal interests. The coach has the methods and tools for the student to quickly identify and learn about high-potential career ideas and engage in research. We don’t leave it to a career assessment listing of job titles found in many assessments. We find the student quickly feels in control and is able to set their own expectations at every step. We just make it easy – it’s all about the student. 3. Feedback. Speed of learning doubles following effective feedback. Praise, punishment and rewards are the least effective forms of feedback. Feedback should be just in time, ‘just for me’ information and delivered when and where it has the best benefit. I couldn’t write a better statement to describe the design of the Career Coaching for Students program. Our feedback comes in many forms. First there are the assessment reports (about 40 pages of feedback about who you are). Then there is how to use that information. We unfold the information and integrate it strategically so that the student can connect the dots quickly and easily. ‘Just for me’ is a perfect description of the feedback at every step. 4. Classroom management. Teachers who have well managed classrooms can identify and respond quickly to potential issues and are emotionally objective. Whether we are delivering the Career Coaching for Students program in a classroom or workshop environment or in a more personalized one-on-one setting, the structured approach to “peeling the career exploration onion” with the student enables us as coaches to identify and respond quickly to questions and issues. Remaining emotionally objective has more to do with being non-judgmental about the student’s aspirations. Our approach leaves very little room for subjective reactions to career ideas. We ask great questions that make the student think for themselves. We don’t tell them anything. 5. Parental involvement. Active and positive parents who help students to have high expectations have a positive impact on student achievement. Surveillance or supervision can have a detrimental effect. The Career Coaching for Students program encourages the student to welcome parental involvement and encourages parents to be involved at the right level. Parental involvement is a two-way street that can be more like a slippery climb up an icy road sometimes. Parents who quickly react negatively to career ideas will kill the student’s engagement. We’ve seen it happen more than a few times. Helping the student recover from that slows down their progress. Career exploration is a journey. The student needs to know they are free to explore and will be encouraged throughout the process. With that said, parents have a huge impact on student self esteem and healthy development of responsible independent thinking. We refer often to the program as a “How to make big Decisions” skill development program. It just happens to be focused on career exploration. Parents play a big role here. 6. Cooperative Learning. Students learn better cooperatively than alone or competitively. This form of learning also increases interest and the ability to problem solve through interacting with peers. This one explains why I like the workshop venue. But I’m getting ahead of myself. The student-coach relationship exists to co-create success for the student. Alone doesn’t work – we’ve seen that with the web portal (XAP, Naviance, others) solutions that many high schools subscribe to (see earlier blog article for more about this). In the workshop venue, we see many students with friends in the same workshop. They sit next to each other. Given that career exploration is a very personal exercise, the relationships with fellow attendees in the workshop is very supportive. The six effects above help to explain why the Career Coaching for Students program is highly effective with all types of students. When it comes to improving academic achievement, I still think the anecdotal evidence is the most valid – that a person who really understands themselves, has identified a potential career that matches their talent design (found a passion) and has a plan for their future tends to be much more engaged – and therefore, much more interested in their own academic achievement. Carl Nielson is Chief Discovery Officer of Success Discoveries and Career Coaching for Students. He is also an organizational development consultant, executive development coach, and creator of the Career Coaching for Students program for high school students and Career and Success Skills Mastery for College Students and Recent Grads. Assessment and coaching packages start at $349 – checkout the Summer 2013 special offer – 30-days coaching support with the Home Study coaching package. Choosing and Changing Majors: Status Quo or A New Standard? The following graphic is from The College Board. We’ll start the discussion here. From the quote in the green bubble, “It’s okay to change your plans even if it means changing your major.” Well, yes, if you find yourself going in the wrong direction, change direction. But The College Board position, and that of most colleges and universities, is that changing majors multiple times to “find yourself” is okay. It isn’t. What it tells me is that the student didn’t do the work to determine a career path prior to showing up at college. Many colleges and universities report the statistics that support the 2005 article by MSNBC.com that indecision about what major to choose can prove very expensive. According to Dr. Fritz Grupe, founder of majors.com, eighty percent of college-bound graduating high school students have yet to choose a major before arriving on campus. With tuition averaging $18,000 or higher in 2012-2013 at public universities, and much higher at private universities, indecisiveness can drain college savings accounts as students restart course sequences or transfer schools – losing credits in the process. Ultimately the result is that the student extends their college days beyond the four years parents planned to finance. According to College Board, five- and six-year students are not uncommon. Roughly 40% of those who start a four-year degree program still have not earned one after year six! There are a variety of good reasons for dragging a college career into its fifth and sixth years—from taking time off for foreign study, to taking advantage of internships and co-ops or needing to balance academics with part-time employment to pay tuition. But changing majors is the one thing that drives up an education’s cost while potentially driving down a student’s self-esteem. It is also the easiest to avoid. There are many (too many) assessments that aren’t valid and reliable. There are also “exercises” that professional counselors recommend if you don’t have access to professional tools such as valid and reliable assessments. Kate Brooks, director of liberal arts career services at the University of Texas at Austin, thinks surveys can help focus a student’s attention on potential courses of study but she warns about the the students tendency to apply the results too inflexibly. “Often a student will say, ‘the test says I should be a florist, so that’s what I have to be,’” she says. A valid and reliable assessment and process doesn’t result in one career choice. A student that has that belief wasn’t counseled properly and was most likely not using a valid and reliable assessment instrument. Rather than properly designed, validated and reliable assessments, Brooks favors an exercise to help undecideds identify and translate interests into majors and eventually careers they will succeed in and enjoy. She sends students to the nearest Barnes & Noble to browse the magazine racks. They are instructed to buy the three magazines they find most interesting. “We then discuss what prompted them to buy those magazines. It may be they chose Newsweek because they are interested in current events and politics. Or possibly there was an article in ESPN about nutritional sports bars. We talk about how pursuing chemistry could lead them to create a better bar or sports drink. Or maybe it is the marketing aspect that appeals to them — the ads. The point is to help them understand what things excite them and what careers are connected to those things, and which majors would lead them to those careers,” explains Brooks. That exercise is wonderful but too simplistic. Choosing a career and the best major for that career direction is a little more complicated than that. Refrain from pressuring children into making quick choices or pursuing majors associated with high income professions. Not everyone should or can be a doctor or a lawyer. Focus attention on pursuing courses of interest based on a career direction, even if the immediate relationship to a major or career is not obvious. Double-majoring is a great way to keep opportunities open. With good planning in high school, double-majoring is not only very doable, it may very well be more interesting and provide an extra level of motivation and self esteem. Encourage participation in job shadowing — going to work with people to see what their jobs actually entail and asking people they meet how they got into their careers. While in high school, interview people in the career of interest that are passionate and successful. Parents can help set this up. If they do enter school undecided, engage in a career coaching program that provides professional-grade (highly valid and reliable) assessments and a process that leads to clarity and good decisions. It doesn’t hurt that the program will also assist in a broader sense of creating success across the bigger picture of life. Refrain from giving advice based on the job market of twenty-some years ago or the “parent ego”. Today’s employers need a different kind of worker and favor different degrees. Many parents see their own career as a great direction for their son or daughter. Genetics may have played a part in creating that awesome son or daughter but choosing a career is a highly individualized event. Urge them to take full advantage of campus advisory services to avoid floundering, shifting from one course of study to the next, and prolonging their dissatisfaction and their academic careers. While I am generally strongly negative in my bias about college advisory competencies when it comes to assisting students in choosing a career direction and then matching potentials majors for that career, if you are taking any of the other advice above, this may not be necessary but it is usually the first option. students rely on and is the one option with the greatest gap between expectation of value and actual value. Just keep in mind, you might be told to go to the local magazine store to find your career. Help them understand that a major is not a career. There are multiple paths to most careers, just as there are multiple careers that can be had from a single major. Encourage them to explore their options. Having a career direction is much more powerful than choosing a major. Help them prepare academically before arriving at college to avoid spending their high-priced time on remedial or review classes. If a child is undecided, consider seeking out a college with the resources to acquaint them with all the options to make a well-founded decision. Not all schools have or emphasize such programs. Understand that the student-to-counselor ratio averages 450-to-1 nationally at the high school level. Do not rely on high school counselors to guide children through the exercise of choosing a major. However they get there, encouraging children to think through their career interests before choosing a school or program can help them avoid future frustration, academic let-down or feelings of failure. It is also key to helping them graduate in four years and move into their ‘real’ lives before they out-spend their college savings accounts. A more up-to-date and informative article is available. It isn’t possible for every high school student to benefit from the Career Coaching for Student program (maybe some day). If it were, you’d be sure to receive assistance in all of the areas listed in this article and your teen would be on solid footing for the path ahead. Short of that honorable goal of serving every student, the following ideas are for parents of incoming high school students and any teen ready to consider and explore their future. Parents are a teens primary counselor. As much as teachers, school counselors and other professionals try, parents play a crucial role in drawing a study plan and shaping the career direction and future of their children. Entry into high school is the time parents need to acquire knowledge about educational options, objectively understand their teens interests and skill sets and “parent” them through the exploration and decision-making process. Decision making doesn’t have to mean “choose” a career while in high school. Decision making needs to be focused on strategic direction. That may result in a career decision or it may set the student on an informed path to explore and evaluate the best potential opportunities that lead to happiness and success. Either way, a good career choice will be made. Because parents have rich knowledge and experience. The teen’s interests and talents may be very different from a parents, however, the parent has the knowledge and experience to bring greater wisdom to the process. Many students choose their school or college of study after a brief, mostly subjective look at a few choices, without research and due diligence, often times going by just the hearsay. In this situation, parents can encourage their teen to gather all relevant information to make a more informed choice, considering both the short- and long-term benefits and prospects. A parent’s attitude matters a great deal! Stay positive and focused on a future of success. The work place today is always changing and may seem scary. Don’t make the past seem perfect and the future terrifying. Encourage your teen to develop a positive attitude and learn about a variety of industries. Many career choices can be applied in diverse industries which present very different experiences. Do not shoot down ideas that your children may come up with on their educational and career choices. If you react negatively, it will likely shut down or reduce the communication process. Keep the lines open as you encourage information gathering and informed choices rather than “your” choices. Jump on opportunities. Informal discussions about the world of work with your teen can be productive. Current news and websites like www.ted.com can be a catalyst to a rich discussion. Provide guidance and blind encouragement. Do not impose your ideas against theirs. Your goal is to help your children find their own way based on their interests and skills and not follow your ideas and interests, which could prove counter-productive. By discussing interests, dreams and goals, you can get to know your children better, which will help you guide them. Encourage your teen to set goals. By starting early with goal setting and action planning, simple and rewarding goals will lead to extremely valuable skills for life and more consistent achievement of goals as an adult. Be practical and realistic in your approach but don’t assume something isn’t possible. Examine and find out whether their interests are genuine, or mere aspirations influenced by external forces. Encourage your child to explore their options through work experience and by talking to people in occupations that interest them. Visits to relevant businesses will help. Putting your teen in contact with those in a career of interest is extremely valuable. Meeting multiple people to gain “inside” career information can be more valuable than a summer job. Let your teen identify and select their area of interest. Parents can help students to identify the broad area of work that interests them, what sort of environment they would like to work in and then link it to their skills, interests, abilities and values. Be wary of popular assessments used for students. Many are not effective and can create confusion. Their validity and reliability may also be questionable. 1. The best way to begin career exploration with your children is by talking about your own career. What do you do in your job. What decisions did you make that led you to this point in your career. Teens aren’t always overly interested when parents begin to share their wisdom with them. Be patient. When it comes to “telling”, asking questions more often is a better strategy for opening the door to rich discussions. Discuss a variety of occupations that you observe in everyday life and what those jobs may involve. 2. Emphasize personal accountability and self management. These are two critical skills consistently found in highly successful people – regardless of what career they choose to follow. The career decision-making process described below includes activities that can begin pre-high school and go through high school and post-secondary education. Action 1 – Enable self-awareness through valid and reliable assessments. When it comes to assessments, start with yourself. Evaluate the assessment administration experience and the results. Action 2 – You and your teen may also want to consider lifestyle implications and the overall impact that lifestyle preferences will have on career choice. For instance, will the job require irregular hours? Will the salary support the lifestyle your child wants? How much education does the occupation require vs the desire for continuing education? It’s important for your child to understand the relationship between lifestyle, personal preferences, occupational choice, and educational pursuits. Help your children understand and balance the difference between wants and needs. Action 3 – Help your teen stay focused on career exploration. Help your child to explore a variety of options with the goal of narrowing those options to a manageable few. Most students want to look at college choices first, major second and career third. Help them avoid that mistake. Action 4 – Evaluate educational strategies that support a career direction. Evaluate educational options before looking at college choices. Schools vary greatly in their reputation for different areas of study. The best employers know which schools are at the top for a subject and which are not. Action 5 – Research school choices based on career direction and desired post-secondary education. No school has everything for everyone. Even the most prestigious schools such as Harvard might not be the best school for what your teen is interested in. Choosing a college or university takes a little work. Action 6 – Make choices based on quality information. Encourage your child to explore a variety of career areas, before making a choice. The economy, demographics, and technology will continue to change the workplace. Some jobs become obsolete while other new jobs emerge. Some occupations may maintain the same title, but they may change or evolve so drastically that they no longer resemble what they were a decade earlier. As the workplace continues to change, it will be more important to focus on personal soft skills and how they can be applied. Some soft skills are more important than others depending on the career. Decision making has been identified as one of the most important soft skills required for career success. It has also been identified as the weakest of soft skills of incoming Freshmen in college. Planning is much easier to do when a passionate future view exists. The passionate future view serves to motivate your teen to take challenging courses. Action 8 – Begin planning for the expense of college. Motivation goes up when a teen sees that excellent grades will pay off in significant scholarship money and improved odds of being accepted to their first school of choice. Don’t think you can afford the most expensive colleges and universities? Explore all options available to get scholarships, financial aid, fellowships and interest free students loans. Why? Many of the scholarships will be based on achievement and required courses through the high school years. Many students of lower income families are provided significant financial support. Action 9 – Take action. Encourage your child to stick with a rigorous school curriculum to build a strong foundation in math, reading, writing, computer skills, and science. The stronger the foundation, the more career options will be available later in life. Action 10 – Review and revise. As your child matures and gains more knowledge and experience, his/her interests may change. Course selection in high school will determine what opportunities are presented and the available course of action after graduation. For instance, if your child wants to go to college and she/he hasn’t taken the required advanced level courses, remedial courses may be necessary. Help your child to stay on target by taking the necessary courses. Remember that all plans should be flexible in case your child wants to change some of the goals she/he set earlier on. It is your child’s future, not yours! It is your role to separate your innermost desires and wishes from that of your child. Help them reach their own dreams. Reposted from Workforce Online magazine. Despite spending most of their college years at the depths of the Great Recession, new graduates have high expectations of their earning power. About 40 percent said they expect a starting salary of $50,000 to $75,000 for their first job out of college. The Class of 2012, soon to be spilling out of colleges and universities and applying for jobs, has high expectations for their career prospects. In a new joint study by websites Experience and Achievers, this new batch of millennials is shown to be career-minded, loyal, brand-savvy and likely to know from the get-go at which company they want to work. Further, they’re most likely to simply pick up their smart phone and apply for a job online at that company’s website. And apparently money isn’t everything to new graduates. Even though the Class of 2012 collectively is graduating with more debt than ever from student loans, 54 percent said career advancement opportunities were more important than salary, according to the study, which is in its third year. According to an annual survey by the National Association of Colleges and Employers, new grads may be aiming a bit high. Bethlehem, Pennsylvania-based NACE’s April 2012 Salary Survey report—the first report on salaries for the Class of 2012—shows the overall median starting salary for a bachelor’s degree graduate has risen 4.5 percent to $42,569 for the Class of 2012 from the last median salary of $40,735 for the Class of 2011. Education and communications majors are seeing the most significant increases to their median salaries over last year. Graduates with education degrees are entering the work force with a median salary of $37,423, 4.5 percent higher than the $35,828 earned by members of the Class of 2011. Hiring of graduates is up as well and is improving. NACE actually revised its figures upward in April, showing that businesses expect to hire 10.2 percent more graduates this year. Razor Suleman, founder and CEO of San Francisco-based Achievers, said the study also uncovered a disconnect between statistics and reality when it comes to millennials. Twenty-two percent of respondents expect to stay with their first employer more than 10 years. Knowing what this new generation of workers wants vs. what they do in the workplace is an opportunity for companies to change their approach to millennials, Suleman says. Most companies tend to be stuck in the past, using antiquated notions of performance review and recognition that don’t cut it with Gen Y workers, Suleman says. For example, a gold watch after 25 years of service means nothing to them. Carl Nielson is a professional career and executive/leadership coach and creator of the nationally recognized program Career Coaching for Students™ . Career Coaching for Students is available as a district-wide high school program and through certified career coaches throughout the United States and other countries. Call Carl Nielson at 972-346-2892 to discuss specific needs.